The epic scale suited Zeppelin: They had the largest crowds, the loudest rock songs, the most groupies, the fullest manes of hair. Eventually excess would turn into bombast, but on Houses, it still provided inspiration. 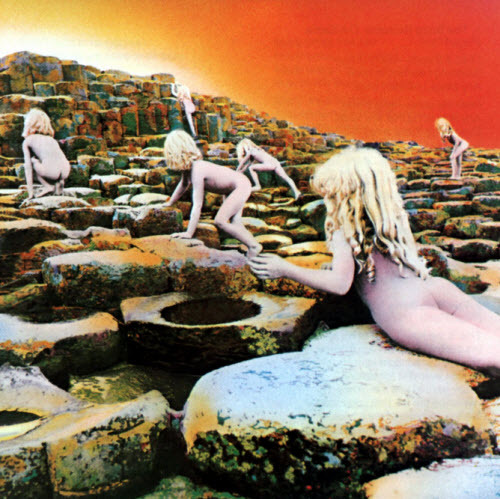 Houses of the Holy is the fifth studio album by English rock band Led Zeppelin, released by Atlantic Records on 28 March 1973. It is the first Led Zeppelin album composed of entirely original material, and represents a musical turning point for the band, who had begun to record songs with more layering and production techniques. 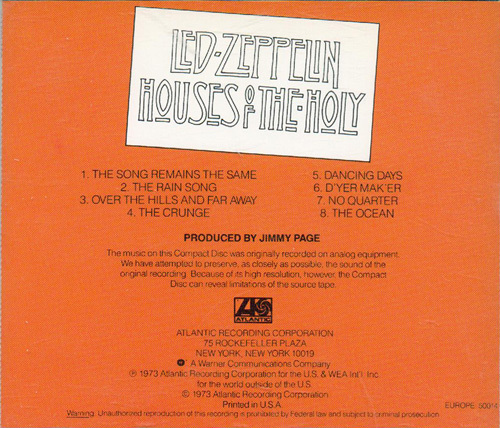 During the sessions, Led Zeppelin also recorded a song named “Houses of the Holy”, and planned to make it the album’s title track. However, the band eventually decided that it didn’t fit in, and the song was instead released on their next album, Physical Graffiti. In 2012, it was ranked number 148 on Rolling Stone magazine’s list of the 500 greatest albums of all time. The cover art for Houses of the Holy was inspired by the ending of Arthur C. Clarke’s novel Childhood’s End, which involves several hundred million naked children, only slightly and physically resembling the human race in basic forms. 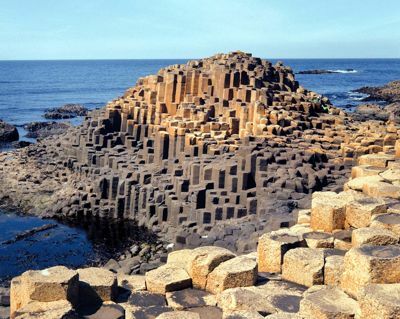 The cover is a collage of several photographs which were taken at the Giant’s Causeway, Northern Ireland, by Aubrey Powell of Hipgnosis. This location was chosen ahead of an alternative one in Peru which was being considered. Upon its release, the album received some mixed reviews, with much criticism from the music press being directed at the off-beat nature of tracks such as “The Crunge” and “D’yer Mak’er”. However, the album was very successful commercially, entering the UK chart at number one, while in America its 39-week run (2 of them spent at number one) on the Billboard Top 40 was their longest since their third album. Charles Ray “Charlie” McCoy (born March 28, 1941 in Oak Hill, West Virginia) is an American session musician noted for his work on a wide variety of instruments. 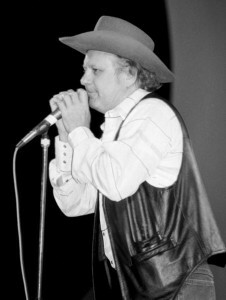 In his career, McCoy has backed several notable musicians including Bob Dylan, Johnny Cash, Tom Astor, Elvis Presley and Ween. He has also recorded thirty-seven studio albums, including fourteen for Monument Records. Thirteen of his singles have entered the Billboard country charts. He was a member of Area Code 615 and Barefoot Jerry. 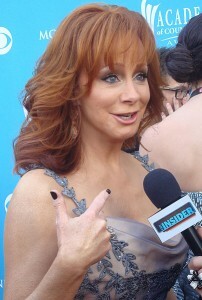 Reba Nell McEntire (born March 28, 1955) is an American country music artist and actress. She began her career in the music industry as a high school student singing in the Kiowa High School band, on local radio shows with her siblings, and at rodeos. While a sophomore in college, she performed the National Anthem at the National Rodeo in Oklahoma City and caught the attention of country artist Red Steagall. He brought her to Nashville, Tennessee, where she signed a contract with Mercury Records a year later in 1975. She released her first solo album in 1977 and released five additional studio albums under the label until 1983.